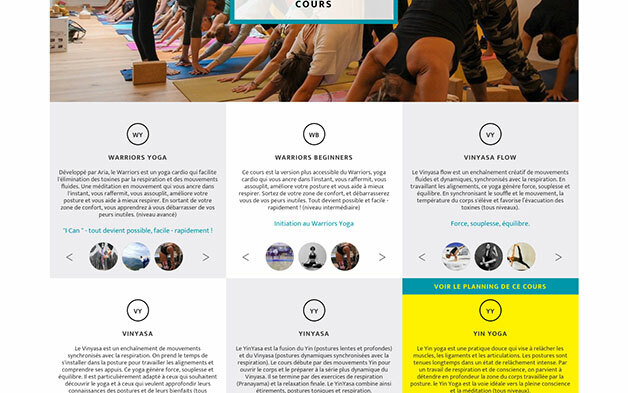 Healthy Warriors is a yoga class based in Paris, as well as a fitness center and a healthy café. For their website, they needed something visually attractive which would inform their student about the upcoming classes and present the various teachers. Modularity was the key concept for this project as not only this yoga class is the home for dozens of teachers coming from around the world, but it’s also a place were several yoga disciplines are being taught. The use of a tooltip system triggered by mouse-hover effects and Wordpress Custom Post Types allowed us to present these combinations.